Summer Training Program in Aeromodelling, Automobile and Mechatronics is the best way for Aeronautical Engineering students to develop practical skills in these emerging technologies in their summer vacation. Aeromodelling gives students a great opportunity to develop 2 UAVs - RC Aircraft and Quadrotor/ Quadcopter which are becoming very popular for various industrial applications. 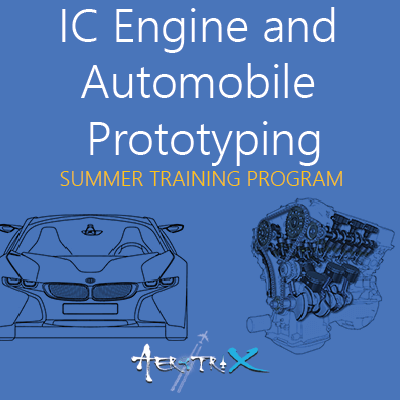 Summer Training in Automobile Engineering covers IC Engines and Automobile Prorotyping where students learn practically about engines and develop a Radio Controlled Car. Summer Training in Mechatronics is for aeronautical engineers with an interest to work in multidisciplinary area involving Mechanical and Electronics. 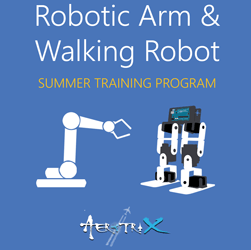 Students develop 2 different mechatronics projects in this - Robotic Arm and Walking Robot. Why Aeronautical Engineering students should attend summer training programs? With the industries progressing towards automation, more and more technologies are being researched to assist humans to automate the industrial processes and improve the operational efficiency. These latest technologies include UAV's, Mechatronics and Automotives. UAV's are one such technology that is being widely researched to carryout activities like logistics, remote delivery and private commute. In recent times, there has been a lot of speculations that drones are being widely developed to carryout functionalities like surveillance, navigation, mapping, unmanned military missions etc. 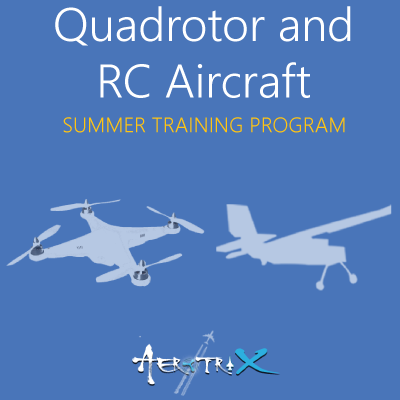 This makes the summer training program on UAV's as a must do training program for aeronautical engineering students to improve their knowledge database. Also automobile engineering is reaching new heights where we are hearing a lot of buzz on how self driving cars are ruling the streets. And all the developing countries are now focusing more on industrialisation where industrial robotics are being actively implemented onto the industrial activities to improve their operational efficiency. Being an aeronautical engineering student it is very essential for you learn and get skilled in these latest technologies to improve your core job placement and higher studies opportunities. With the Skyfi Labs summer training programs in aeronautical engineering delivered with an innovative learning methodology, it will be super easy for you to learn and build great projects this summer in an exciting way. You can attend the summer training program on trending topics like UAV's, Mechatronics and Automotives across 9 major cities in India and get certified this summer.